When it comes to contemporary Indian authors, Chetan Bhagat is remembered first. With his genres and all the more controversial articles he always makes enough news. Surprisingly all his books have been adapted into movies . Indian Box Office would never forget 3 Idiots which has been a screen adaptation of his most successful novel “Five Point Someone”. A typical Chetan Bhagat story is full of Bollywood masala and takes us on a journey peppered with his opinions on our country and how it should be. He is confronted with a lot of criticism but he should be given due credit for making a certain section of this country’s youth read books, those who do not know anything more than studying, getting a job, buying a house, getting married and having children. 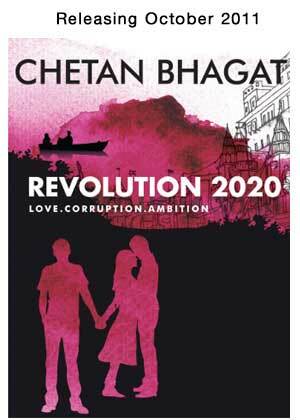 His latest offering, “Revolution 2020”, is a little difficult to digest yet a true depiction of the modern day scenario. Chetan attempts to run through a series of deep rooted issues, in an entertaining narration. Corruption in a worn out system, the commercialization of education, the energetic youth of today and a love triangle would nicely summarize this book. Set in the temple town of Varanasi, the story is the journey of three friends Gopal, Raghav and Aarti who have been friends since childhood. Gopal and Raghav love Aarti which makes it an enjoyable love track. The clash of opinions comes when the three of them decide to do different things with their lives. Gopal decides to take his path owing to the suffering he had all his life. Raghav whose life was fortunate all the time, takes up passionate issues to make his way forward in life. In the midst of this all is Aarti, who indecisively doesn’t know what to do and gets crushed in a series of emotions. The path the protagonists choose takes the tale to the issues our country has been facing right now. The protagonists are greeted by corrupt and selfish politicians. They are confronted by an education system which mints money at the cost of middle class blood. The book brings to light the direction in which our society is progressing right now. The strong points of the story are its racy narration and the realistic depiction of Indian society. Like all his previous novels it has enough dosage of romance, fights, twists and other masala elements. 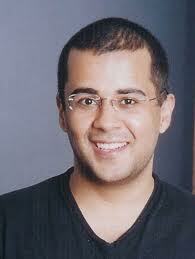 Somehow Chetan Bhagat has mastered this art of depicting youth. The reason may be the exposure he got in an elite college or may be because of his interaction with many of them. However, the biggest letdown of this book is the climax. Chetan has skillfully brought the book to a point and then indecisively cut it short to a freakish ending. Overall the book was an enjoyable read and commendable fare. The book appeals because of the freshness this book promises. 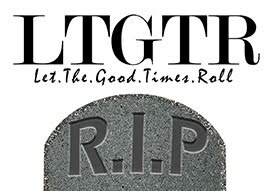 A one -time read and a nice way to spend time if you have nothing else to do !